Tabitha is a class 8 student at Muruku Primary School in Laikipia County. 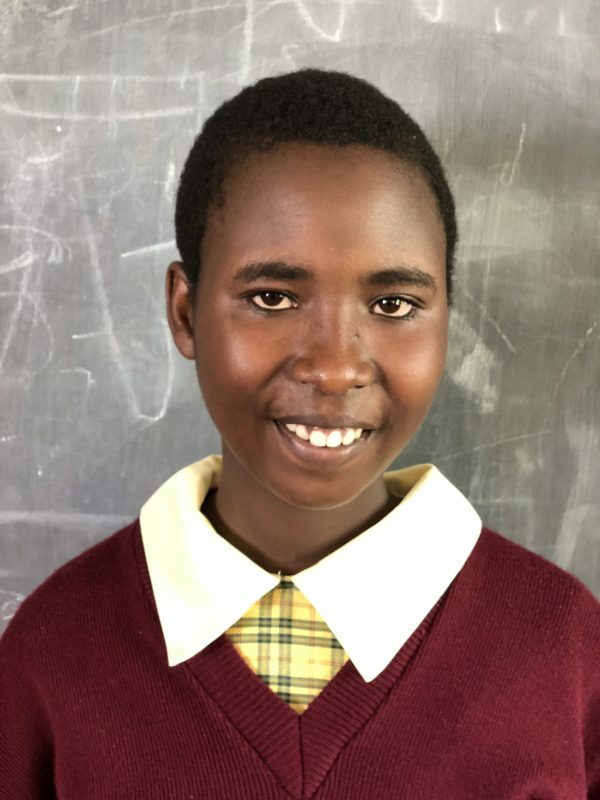 If her performance at the end of her first round of exams for the year is anything to go by, she is more than ready to sit for the impending Kenya Certificate of Primary Education (KCPE). She scored 416 marks out of the possible 500, signaling that she is a brilliant, dedicated, and disciplined student. Tabitha knows that simply being intelligent is not enough, and so she has developed a strong work ethic to maintain her outstanding grades. However, her journey through primary school has been marked by bouts of absenteeism, since her family was often unable to pay for her school fees, and it terrifies her to think that she may not be able to go to secondary school for the same reason. Luckily for her, Moja Tu has readily agreed to find Tabitha a sponsor to ensure that her brilliant brains and dreams of becoming a neurosurgeon don’t go to waste. Tabitha is not just preoccupied with all things brain-related. She is also an environmentalist at heart, and even held a position as the president of her school’s environmental club earlier in her primary school career. She and her peers have taken it upon themselves to educate the community around them on the importance of environmental conservation. Tabitha holds virtues such as honesty, fairness, hard work and good mannerisms in high regard. Her intelligence, dedication, and polite nature have endeared her to many people around her. She has many people wishing for her success. Help this brilliant girl get the education she deserves by sponsoring her today!